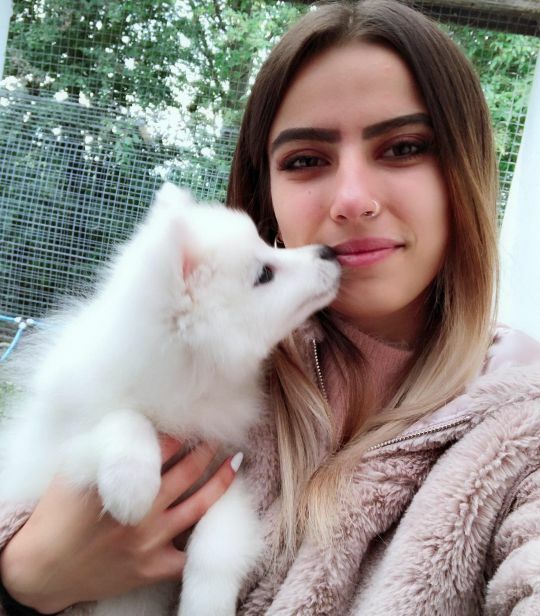 A 19-year-old girl is desperately trying to raise money to save her puppy from being destroyed due to an immigration row. 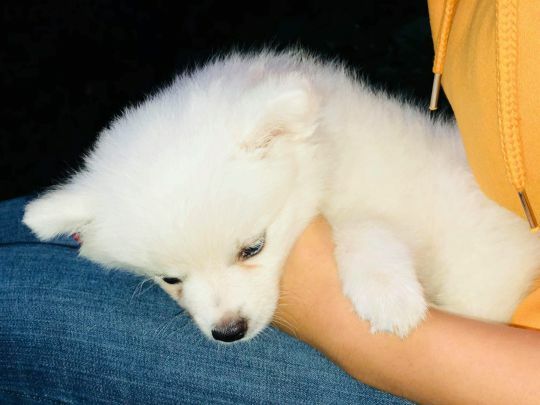 Aylin Mehmed, a Manchester student, bought white Pomeranian Fluffy while holidaying with her family in her native home, Bulgaria. But immigration authorities say the dog came into the UK with an ‘invalid’ pet passport and took him into quarantine in Chesterfield, Derbyshire. Miss Mehmed must now come up with the £2,710 needed to pay for the animal’s costs or he will be put to sleep. ‘I’m so alone, that dog was like my friend,’ the business student said. ‘I spent every day with him. When they took him, I was so upset. ‘He is like a baby. It’s not OK just to give him away. We have to keep him.’ Miss Mehmed, who has lived in the UK for six years, has insisted that she got the correct injections for Fluffy in Bulgaria, including a vaccination against rabies. The teenager says the puppy then passed through ‘eight countries by car and boat’ with the passport and was always ‘checked and let through’. But after taking him to a vet on her return to the UK, she was told that Fluffy was younger than the four months stated on his documentation, making the vaccinations invalid. After paying the bill, she was then given until January to come up with a further £2710 to cover the remaining costs of his quarantine. he student is now desperately trying to get a part-time job and has launched a Just Giving campaign to try and raise the funds needed. So far 22 people have raised just over £500 of her £2710 total. Councillor Arooj Shah, cabinet member for neighbourhood services at Oldham Council, said: ‘After entering the country Fluffy was examined by a qualified veterinary surgeon who said the dog was under four months old, which differed from the documentation presented. ‘Fluffy was also travelling on what is believed to be an invalid pet passport. A report was made to us and officers visited the owners’ property. ‘We explained why Fluffy would have to be taken into quarantine due to the fact that a puppy younger than 12 weeks is not protected with a rabies jab. Looks like another farmed puppy taken from its mother too early. When people stop buying farmed puppies then puppies and the breeding parents will stop paying the price. It is the buyers who cause this suffering.